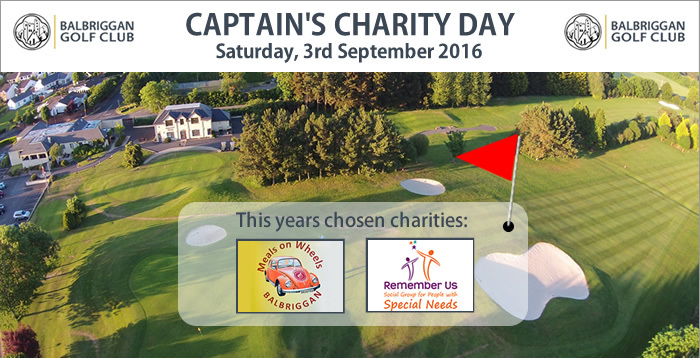 Balbriggan Golf Club 2016 Captains charity day takes place on Saturday 3rd September and this year the chosen charities are Balbriggan & District Meals on Wheels and Remember Us. If any local businesses would like to sponsor a hole on the day please get in touch with Peter Slevin, Vice Captain of Balbriggan Golf Club at pete.slevin@gmail.com. The suggested donation is €50.